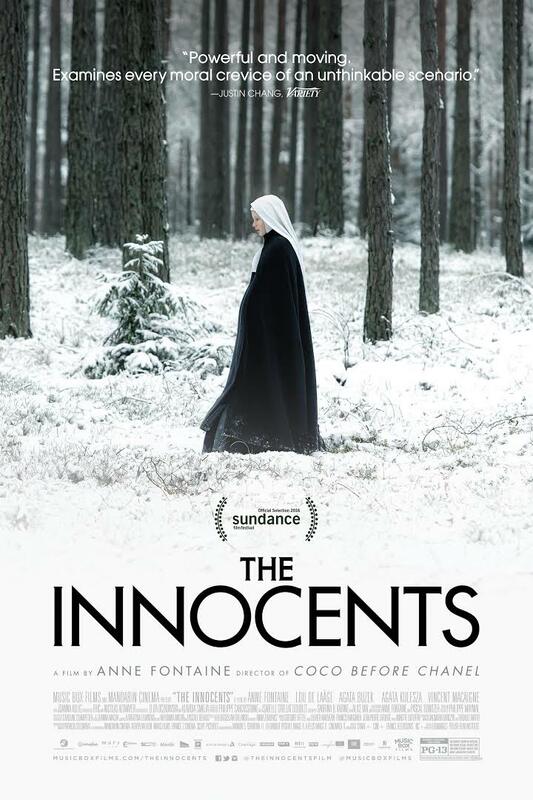 If I get a chance, I’ll go see this movie, The Innocents. A positive review here. The Innocents, which premiered at the Sundance Film Festival in January, is a French-Polish-Belgian co-production based on the real accounts of a young French doctor working for the Red Cross in post-World War II Poland. The year is 1945. Dr. Mathilde Beaulieu, who has been sent there to treat French survivors of the German camps, discovers a convent of Polish Benedictine nuns who are hiding what they believe is a terrible secret: Several of them are pregnant, the result of brutal rapes by Russian soldiers. In the able hands of the noted French director Anne Fontaine, the film portrays with subdued power these profoundly “hard cases”: women who have taken vows of chastity, horribly violated and feeling ashamed, though they are innocent of any crime.